The mural conservator hard at work. Photo courtesy of the Jewish Historical Society of Greater Washington. Now that an historic mural on the interior of a former synagogue in Mt. Vernon is being safely removed for preservation, the new six-unit condo planned for the site, 415 M St. NW and its adjoining lot, will be able to start construction, pending permits. By the time the trade expires, the price of the asset underlying the binary option is trading above or below strike price is on which the settlement value depends. You can read more here. To speculate on the outcome of various situations the binary options can be used. speculations such as: will this week’s jobless claims be higher than the market expects, will the S&P 500 rise above the certain level by tomorrow or next week or will the euro or yen decline against US dollars today. A professional conservation team has spent much of the week painstakingly removing the last remnant of Shomrei Shabbos–a small synagogue that probably consisted of a handful of eastern European Jewish families. 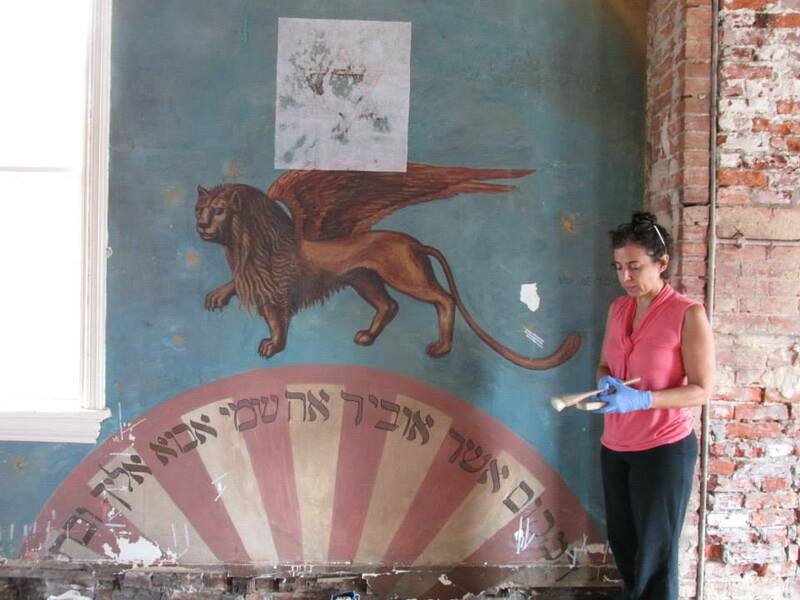 The mural–painted some 90 years ago on an interior wall–will be relocated to theJewish Historical Society of Greater Washington (JHSGW), which raised the necessary $20,000 for the restoration project. The mural’s rescue was also made possible by the current owners of 415 M St. NW, BlackRock Holdings, Inc., which bought the historic home in 2013. “On the one hand we knew that a proper restoration of the nearly 160 year old building would necessitate a full gut of the existing structure. On the other hand we knew such drastic renovation and repair would destroy this beautiful and historic mural of which we were now de-facto custodians. None of us wanted to be a party to that kind of destruction,” said Patrick Moran, managing partner of BlackRock Holdings, in a previous interview with District Source. With a little help from the D.C. Historic Preservation Office (HPO), the developers were able to connect with JHSGW to discuss how to save the mural without standing in the way of the project. BlackRock was in the midst of historic review and permitting when the fundraising campaign began, putting the campaign for the mural on a bit of a time squeeze. But JHSGW was able to raise its funds before BlackRock received its building permit–which are still pending approval with various District agencies according to online permit records.